Today we hear from fabulous designer (and our intrepid tech editor) Alexandra Virgiel!! Take it away other-Alexandra! 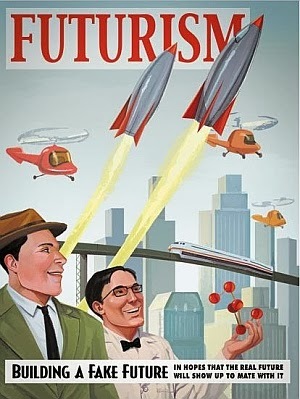 One of the things I love about sci-fi is the things it gets wrong about the future. Nothing illuminates the past so well as reading the past's conception of the future. For example: We have not annihilated the planet in an insane arms race with the godless Communists. That's a big one. It's way past the year 2000 and we're not living in space, nor do we have flying cars. The future is not made of mod white and red polymers with rounded edges as in 2001 (we got the cheap plastic everything, but without the style), nor is it a Roddenberryian utopia where nobody smokes or uses money (still smoking, and nobody has any money, which isn't the same thing). And, most importantly, we're not all wearing jumpsuits, though it is instructive to go to Target on a Saturday and count the people who aren't wearing the national uniform of jeans-and-whatever. Usually the most jarring anachronisms are the throwaway ones, though. Last night I was reading Solaris (Lem is excellent for insomnia), which takes place in some undefined future where we're traveling all over the galaxy, and the protagonist notices someone's smallpox inoculation scar. Apparently visiting faraway planets ain't no thing, but eradicating smallpox? That'll never happen. She took off her black jacket; the fletcher hung beneath her arm in a black nylon shoulder rig. She wore a sleeveless gray pullover with plain steel zips across each shoulder. Bulletproof, Case decided, slopping coffee into a bright red mug. Remember when synthetics were going to solve all of our clothing problems? We understood that in the future, our clothes would be sleek, stylish, washable, and adapted to all conditions. Better living through chemistry! Technical fabrics and armor have certainly improved, but the average Jane is still slopping around in odor-absorbing, static-generating polyester that wouldn't stop a mosquito, never mind a bullet. The vest has twisted rib panels along the sides, for a body-conscious fit without increases or decreases. 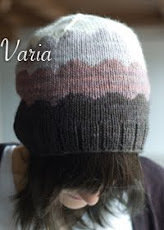 It is knit in the round to the armholes, then flat to the shoulders. The back shoulder straps wrap to the front and are angled off with short rows. Metal separating zippers finish it off. 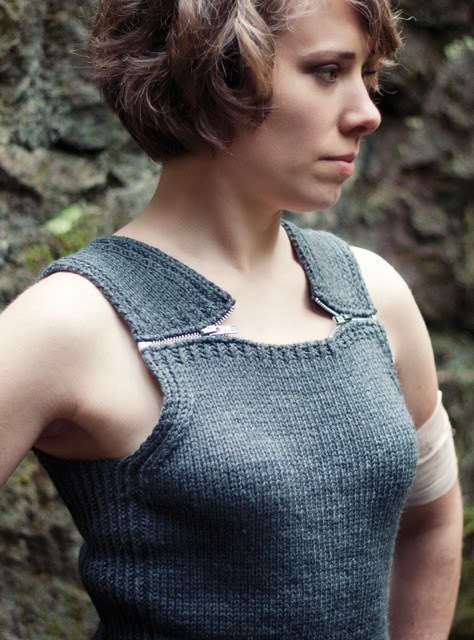 Why does a stretchy knit vest need zippers? The same reason everyone in The Matrix needed shiny leather pants. It's for strategic, um, hacking purposes. Yeah. 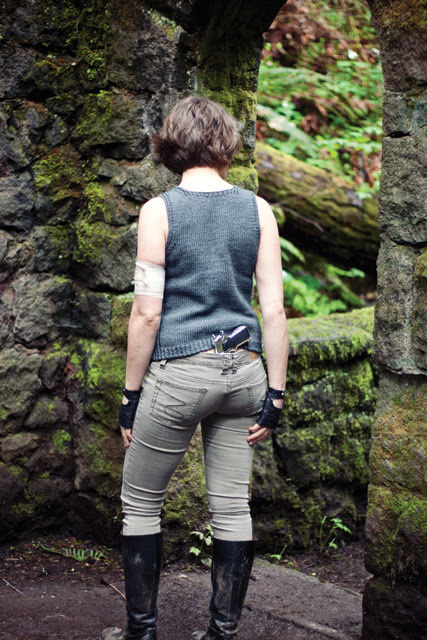 Bulletproof is on Ravelry here. Check out the rest of the tour--up tomorrow is Dovie Jay's Ditch the Tech pullover. 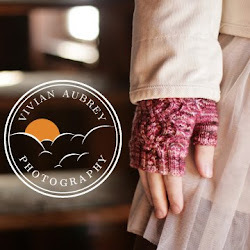 To pre-order Doomsday Knits or learn more about the book, click on over to Cooperative Press. Thanks Alexandra! Why DID we get the cheap plastic without the style? I feel ripped off. The past's future was way cooler than the real future.